The Cloud Institute’s mission is to ensure the viability of sustainable communities by leveraging changes in K-12 school systems to prepare young people for the shift toward a sustainable future. We monitor the evolving thinking and skills of the most important champions of sustainability, and transform them into educational materials and a pedagogical system that inspires young people to think about the world, their relationship to it, and their ability to influence it in an entirely new way. We believe that K-12 education can substantially influence beliefs, attitudes, values, and behaviors related to sustainability. This is the most fertile ground for helping to shape a society committed to sustainable development. We develop in young people and their teachers the new knowledge and ways of thinking needed to achieve economic prosperity and responsible citizenship while restoring the health of the living systems upon which our lives depend. Our work with schools, school systems, and Higher Education institutions all revolves around the curriculum, instruction, and assessment aspects of Education for Sustainability, as well as the strategic planning, organizational, and leadership development that is required. Visit the Cloud Institute’s Events and Workshops webpage for an up-to-date list of events. How can we move around without CO2? What will it take to power our lives, live our power, eat well, and restore the Earth at the same time? What will we need to thrive as we make the shift toward a sustainable future? These and similar questions await you at this three-day Sustainability Summit in Chicago. Learn more from experts about systems and anticipatory and creative thinking. About commons, the importance of diversity, multiple perspectives, and links with STEM and German. Jaimie Cloud will keynote. Learn more and register. Join the Cloud Institute for a five-day curriculum design studio where educators, administrators, and program designers will learn how to design and embed Education for Sustainability into curricula, assessments, and performance tasks without the need for additional class time! 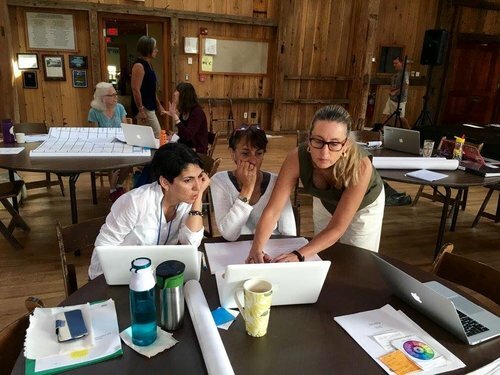 Held at the beautiful Omega Institute in Rhinebeck, New York, you will get access to expertise, resources, and tools to reorient and enrich curricula. 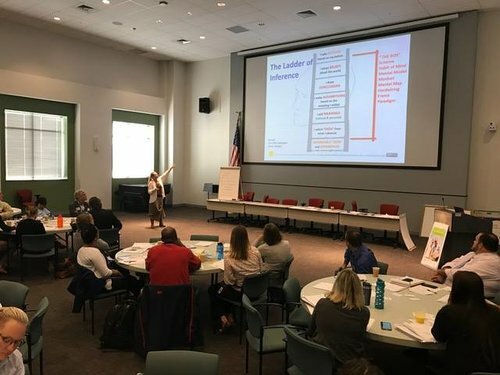 Through working sessions, learning circles, coaching, peer review, and optional mini-sessions, you will create and develop units and protocols that educate for sustainability. Come yourself or bring a team! Space is limited. Register today.